These fish are highly prized for their superior Omega-3 EFA content and, in our opinion, are the best tasting among all the salmon varieties. Spring Chinook Salmon are an exciting fish to catch, and they range from eight to 15 pounds each. Our fishing waters include both the Columbia and Willamette Rivers. We will be using a variety of effective techniques from back bouncing to trolling cured baits or flashy lures to land these amazing fish. Coho Salmon are the most aggressive species of salmon. 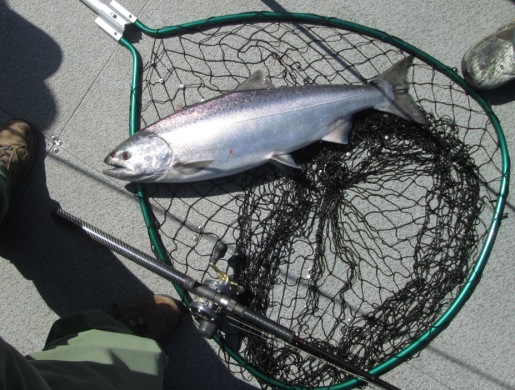 Violent strikes and hard runs are trademarks of the Coho. Fall Chinook are the largest salmon species, reaching weights of over 50 pounds. 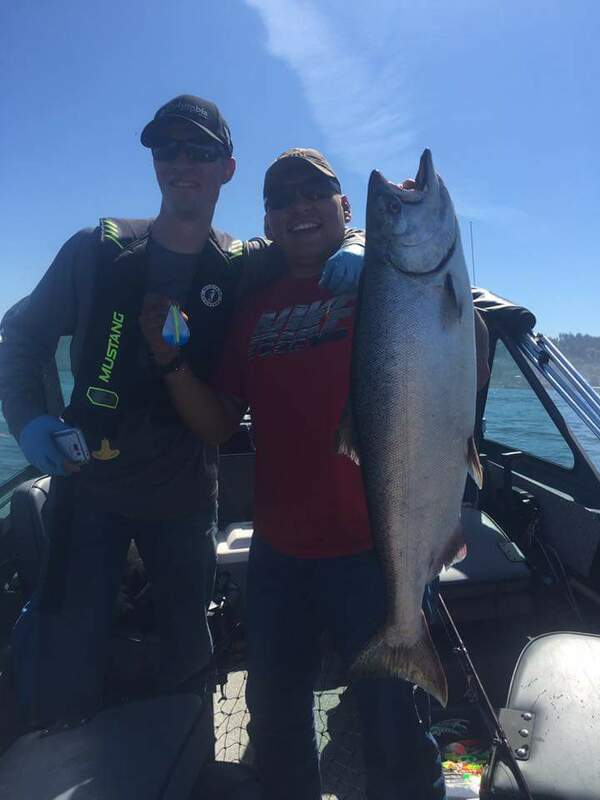 Our fishing waters include the saltwater regions of the Columbia River (Buoy 10 and Estuary), Mainstem Columbia, and many small Oregon coastal bays and tributaries. Our guides use proven techniques to ensure success – floats, back bouncing and trolling baits or lures.